Virtualization should be enabled on both hardware level and software level. For enabling virtualization on the hardware level, go to bios settings (by restarting your computer and pressing function keys like F2, F9 depending on your hardware). 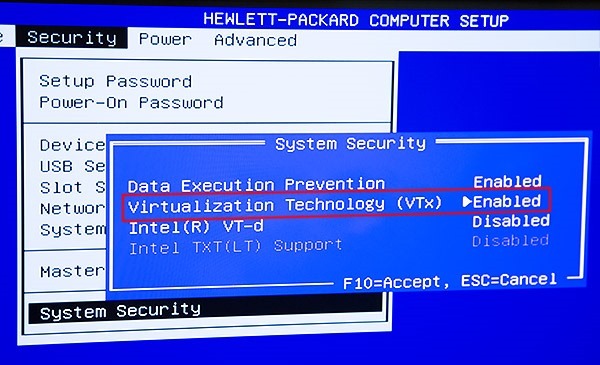 And make sure that Virtualization is enabled as shown below and restart the computer. 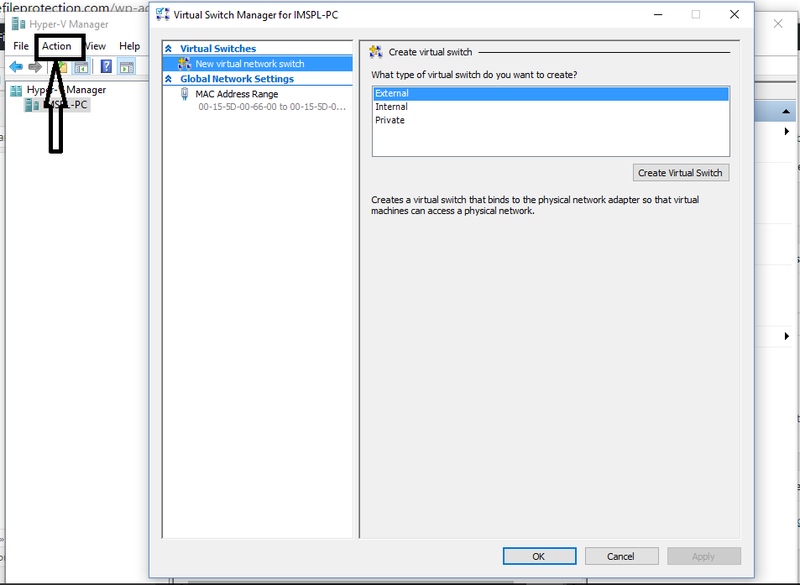 For enabling virtualization at the software level, type turn windows features on or off in the search box, or open it from the control panel. The below window will open. 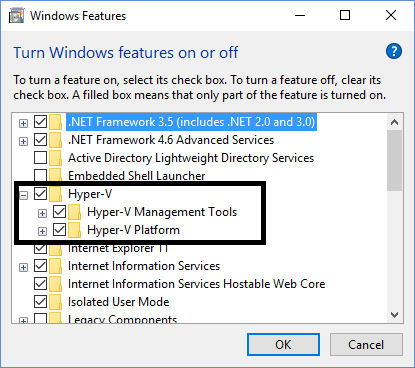 Make sure that Hyper-V chek box is checked and click OK.
Now search for Hyper-V Manger in search box and open it. From the Actions tab, open Virtual Switch Manager and make sure that External is highlighted.